Error 481 is an error which is related with Play Store account or the account which you have registered on your device. We recommend you to not to change settings on your Android phone or tablet for this error. You don’t need to do much for resolve this problem. 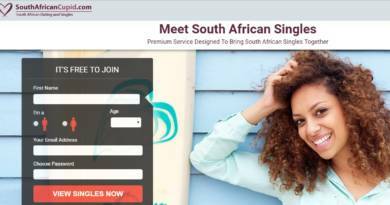 You will only do a few steps with your account on your device and all will be set for you. Let’s tell you how to fix 481 error. You can also take a look at error code list for installation if you are getting any other problem while you are installing/updating WhatsApp since there are more than 20 errors which you can get on the application. You can also ask us through commenting this page or using our community service if you are having any problem or if you are getting any error code on your device. Basically you will need to remove your account from your Android device first. Then restart your phone. Clear cache and data of Play Store application. Add a new account and install/update/download the WhatsApp. Detailed Info & Steps: Click here to get detailed information of all these steps for fixing Error 481. 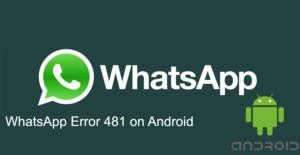 There are also alternative solutions to fix WhatsApp Error 481. This error only occurs on Android devices. Fixing this problem is quite easy but this can be also problematic at times because it can be related with a bug. If you think that you are having a bug problem you can easily figure out what is bug about… The application or your Android device… If you are having problem with your Android device, see if there is a new update for it. If there is not, try hard reset for your Android phone or tablet. You can find detailed information on how to hard reset your device on Google. If your problem is about application, you can try reinstall it… You can contact WhatsApp support and ask for a help. Finally you can also try download the Android application from the official website of WhatsApp. If you have any questions about fixing Error 481, please feel free to contact us. We are going to provide more information about fixing this problem and we will get in touch with you as soon as possible.